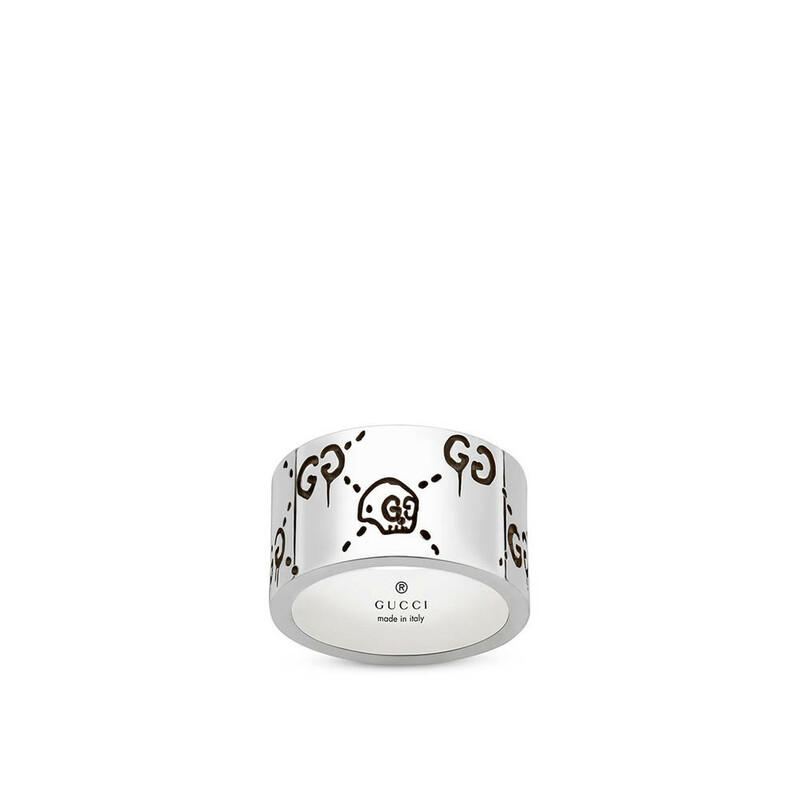 The Gucci Ghost collection by Gucci presents this wide band. The quilted double G look is replaced with a skull bearing double G eyes and dripping double Gs on this fabulous sterling silver ring with a rhodium finish. Keep Halloween alive all year long with this amazing Gucci ring.